Ghee, also known as clarified butter, has become my new favorite cooking oil. It can withstand high temperatures without oxidizing or smoking and lends a nice buttery, nutty flavor. It sounds fancy, but it’s very easy to make. Simply melt butter and then skim off the milk solids. Many who are lactose intolerant can handle ghee because it’s purely the butter oil. Also, if you make it with organic, pastured butter, it contains many nutrients (higher amounts of omega-3 fatty acids and conjugated linoleic acid). Lately, I make a batch over the weekend and then use the ghee throughout the week. It’s great for sautéing at high heats, roasting, pan frying, etc. Melt two sticks of butter over low heat. 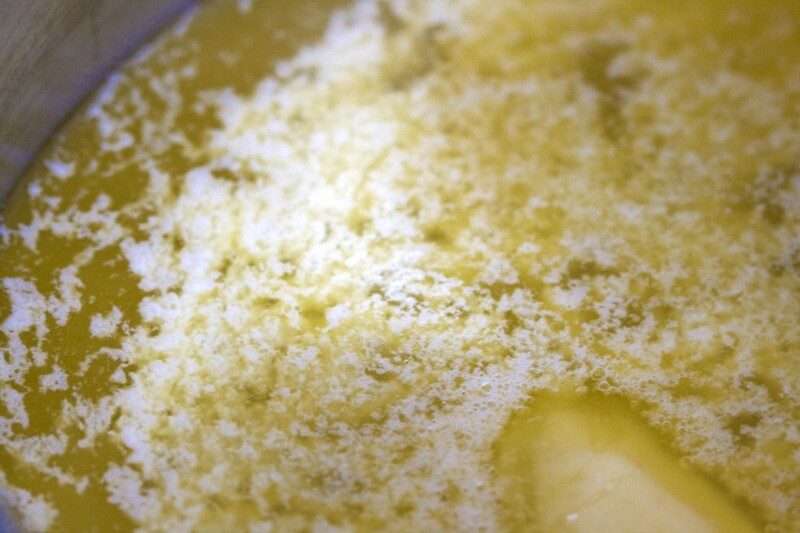 As the butter melts, you will see the white milk solids begin to rise to the top. The butter will begin to bubble. Make sure to stand away from the stove (just in case). The butter will start to turn brown and eventually stop bubbling, about 20 minutes. Set a piece of cheese cloth over a sieve. Place the sieve over a bowl and pour the melted butter through the sieve. The milk solids will remain in the cheesecloth. The end result – pure, golden ghee. Pour in a jar and keep in the refrigerator for up to 2 months. 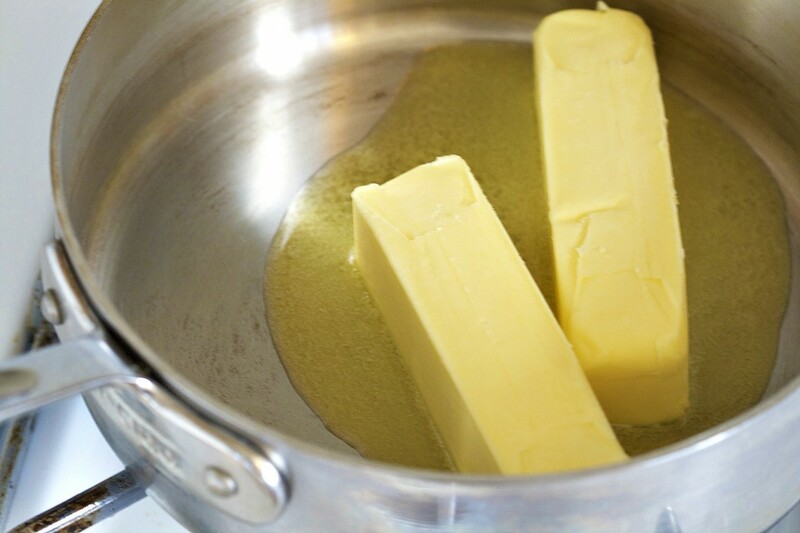 Melt butter in a medium sauce pan over low heat. Let cook for about 30-40 minutes until butter has separated (you will see a white, thick film on top) and milk solids have sunk to the bottom are are light brown. (While butter is cooking, it will bubble a bit). 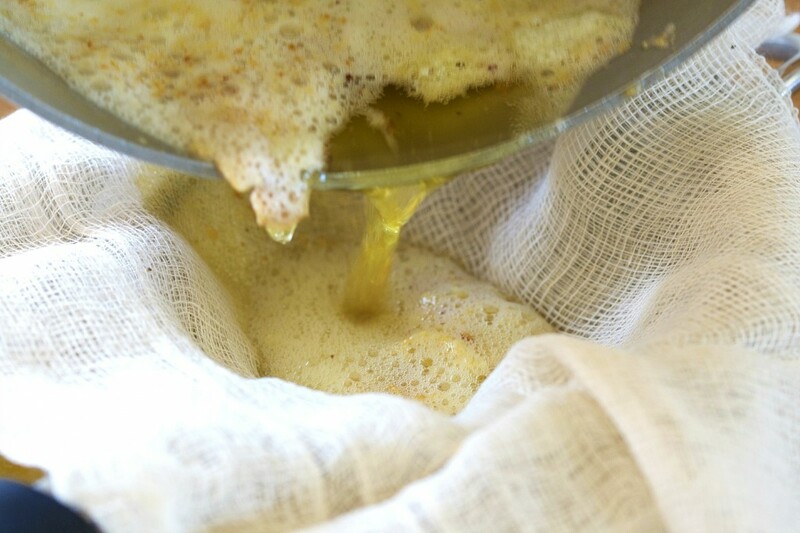 Place a cheesecloth in a sieve over a medium -size bowl. Pour melted butter through cheesecloth . Pour ghee in a glass jar and keep in the refrigerator. I love ghee! there is a bit of a difference between ghee and clarified butter though. clarified butter melts the butter enough to separate the milk solids from the fat but not long enough to brown the milk solids before skimming. 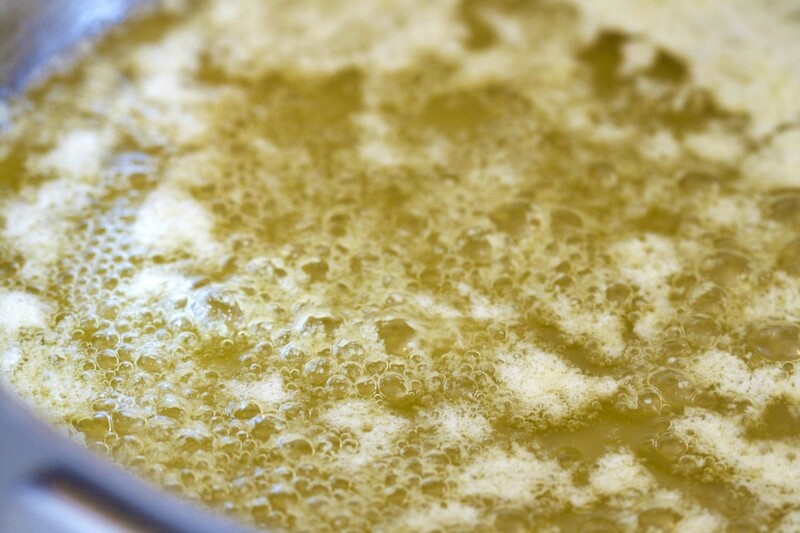 clarified butter does not have the nutty flavor nor does it last as long, as some milk solids stay in the finished oil. To get a really pure ghee you generally need to cook for 45 min. or so whereas with clarified butter it is maybe 20 min. just thowing it out there that the terms are generally not interchangeable. But either way, love it!!! the store bought ghee that I have says (clarified) on the jar. I am going to make my own this time & was wondering do you really need the cheese cloth? I have one of those gravy separaters so would that work as well? I've found the cheese cloth to be necessary to get all of the small bits of milk solids removed from the oil. I used 2 little strainers,one is more like mesh.hope it works. Sweeeeet! Hey, is this the same as "drawn" butter? That you'd have with lobster?! Yes, it's the same. From all of the reading I've done the terms clarified butter, drawn butter and ghee are basically used interchangeably. Some cook ghee for a bit longer, but they are mostly all the same. This is so easy! I never would have known! I got really into ghee a few years ago when it was recommended to me by a holistic practitioner I was working with. I love it too for all of it's flavor and healthful qualities! Thank you for this! I have been wanting to try it but been afraid. I need to avoid milk solids for dietary reasons in our family but ghee has been tolerated so I'm so glad to see this post. I have switched to using ghee or coconut oil for cooking with at high temps since learning that using olive oil can actually be bad for you - love the simplicity of it. This is so good for cooking! great tutorial Carrie! I had no idea how easy ghee is to make. Thanks for the insight! Just wondering... Can the browned milk solids be used for anything, or do they have to be discarded? Thanks. I use mine to add to my grain-free "shortbread cookies" -- they make a lovely, hazelnutty element. 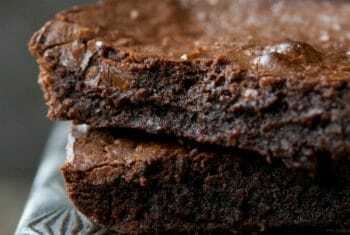 Can this be used as a substitute for oil in baking? I don't know what kind of oil I should be baking with. How else can you use ghee? 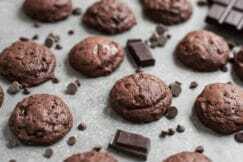 It can be used as a substitute for vegetable oils in baking. 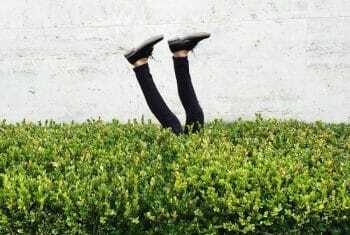 You might also want to look into coconut oil. It's a perfect 1:1 substitute. I love it! I love it! I only use olive oil, coconut oil and butter in my house, so this will give me another healthy option - thanks! This sounds neat... but what are the benefits of using Ghee over butter? It has a high smoking point, so it's great for roasting or using at high heats. My question is the same as amom, is there any use for the solid part that is removed? I've been wanting to try to use Ghee and this looks so easy, but I also hate to waste and throw part away. Also, is it better to use salted or unsalted butter? Thanks! I've read that you can spread it on bread or you could also toss it in with roasted, sautéed, or steamed veg just before serving. I use unsalted butter, but salted tastes nice too! The solids left after making are heavenly on popcorn. The solids left after making ghee are heavenly on popcorn. I was so excited to find Ghee at the Reasor's in my store in Tulsa, OK! I was actually shocked when I saw it on the shelf, I can't wait to cook with it! Thanks for all the wonderful advice and recipes! Yikes! I tried to make my own ghee and let's just say it didn't out quite as golden as I expected. I am so excited to cook and bake with ghee, but wondering what I did wrong with making ghee? Will try again - thanks so much for this step-by-step tutorial. A tip from my mom that I've been using for years.. After straining the ghee, fill the pot back with water enough that all solids are submerged. Then bring this to a boil. 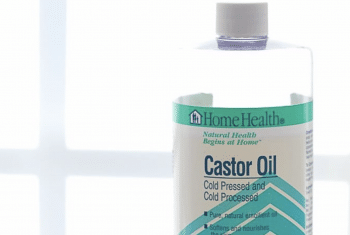 Strain and use this liquid instead of water in your bread or bean recipes. Bonus: the pot is now a breeze to clean. 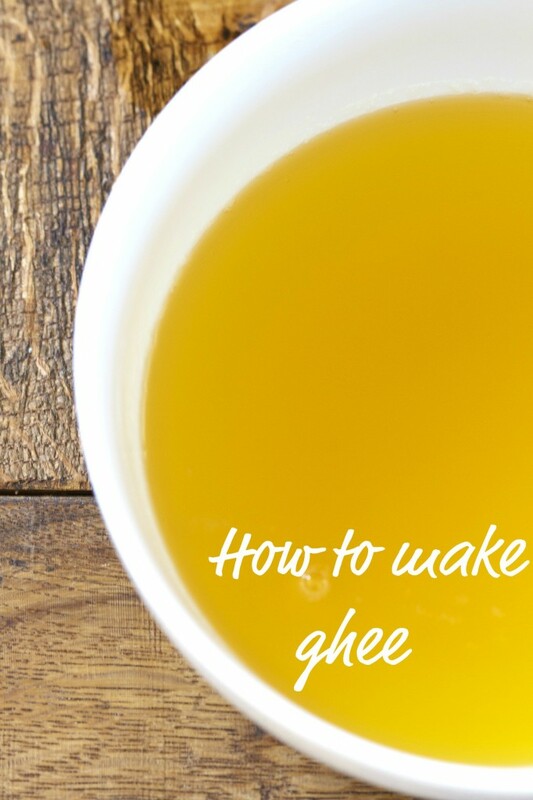 Wow, I honestly had no idea that making ghee was this easy! Quick question, so if I make cultured butter could I then use the butter to make ghee? Would it still last 2 months in the fridge? Do you ever use store-bought butter? Thanks! I did it!!! This was the simplest thing I've ever made! I made this and though it was low heat, it burned after about 5 minutes. Does it get browner before it gets golden? I stopped cooking it thinking I burned it (it smelled burnt too). I made this once before with a different outcome, but neither time did I cook it for as long as 20 minutes.Now that it has cooled it is the color of grease and grime and smells just as bad. I used organic grass fed pasture butter, same as the first time. The first time it looked picture perfect. What did I do wrong? I truly have no idea why it burned. 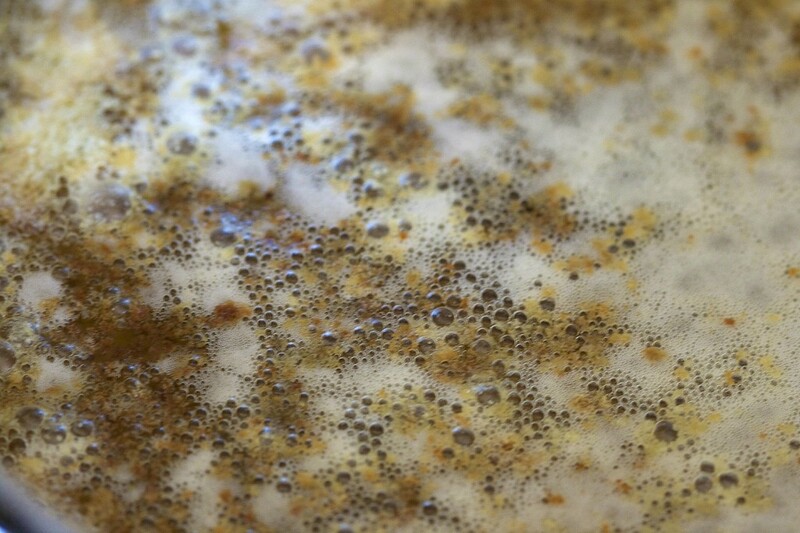 The milk solids will get brown during the cooking process, but after the liquid is strained, it is a clear liquid. I just made this recipe again last night and the ghee turned out great. I'm sorry I don't have a better answer for you. 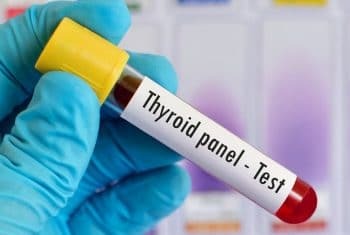 I just did this today, worked great! Thanks Carrie! Thanks so much! I'll order some right away! Yes, it will become a solid again. So this is completely normal. Thanks, I guess that I will use a small scoop to take it with my fermented Cod liver oil. 1- Most web sites suggest 1 pound verses 1/2 pound and so do the books. Why 1/2lb? 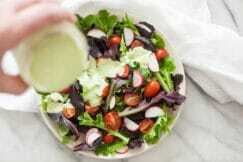 2- Is the milk solids good to eat in salads or etc.? 3- Why keep the ghee in the refrigerator only 2 months? Isn't that clarified butter? I make ghee and brown the milk solids on the bottom and keep it out of the refrigerator for 6 months. 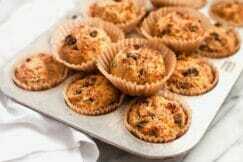 I prefer to make it in smaller batches, so that's why I call for 1/2 pound. You can eat the milk solids, but they are a bit oily, so I wouldn't put them in a salad. Since I'm not a food scientist, it's best if I recommend that readers store the ghee in the refrigerator. Some may prefer to store it at room temperature, which is fine, but it's my personal preference to recommend chilling it. So if something calls for cooking in ghee, does cooking it in butter change the recipe? 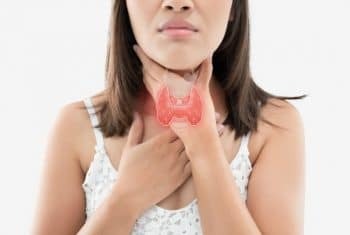 I have a home remedy recipe to stop post nasal drip that calls for cooking cracked peppercorns or chopped garlic in ghee. Couldn't I just do it in butter?? 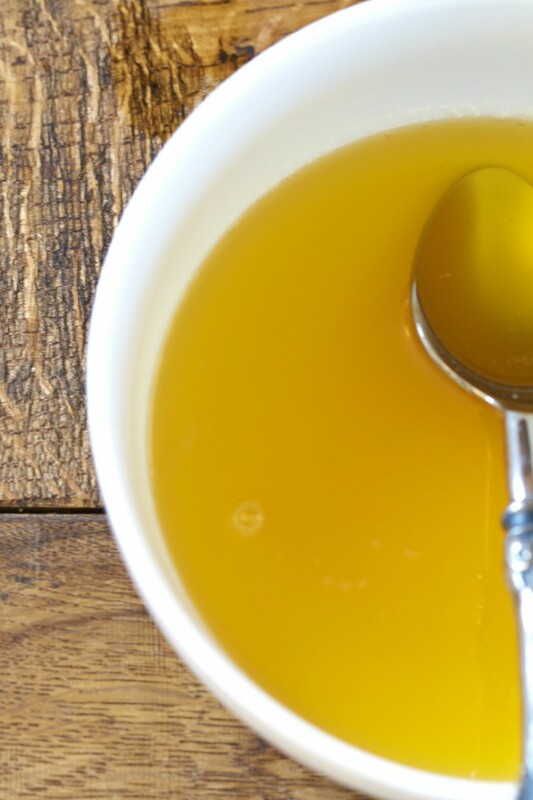 Ghee is butter with the milk solids removed, so technically it does change the recipe. If it's a recipe for a home remedy, I would probably stick with ghee, since the milk solids might not agree with your sinuses. this is a very strange method of making Ghee! I am from india and the process is slightly different. But basically you warm heavy grade whipping cream, add some plain yogurt and let it sit at a warm temperature. once your cream coagulates, you put it in your blender along with some water, and delicious white butter floats to the top. it tastes awesome as it is made from yogurt. Then you simply cook this ball of butter. What floats to the top is ghee, and what remains at the bottom, well mix in some sugar and its yummy dessert. Soni, I am curious about your method of making Ghee. In your above comment you are vague with your amounts. I am wondering what would be the exact measurements. How much whipping cream, plain yogurt and water? I realize you are making butter in the Blender. Then what amount of Sugar do you use to make the dessert? I hope you will respond or maybe there is somebody that can answer my questions. Thank you for taking the time to read my reply. Can you use ghee in pastry making? Any chance you can use salted butter or does it have to be unsalted. Thanks. I've tried it in pies, cakes, etc. and it always works very well! It's best to use unsalted butter to make the ghee so you can control how much and what kind of salt goes into your recipes. I have an intolerance to milk, so the ghee is out. However, can I do the same thing to organic coconut butter? Enjoying all your recipes. Have a blessed day and thank you for your time. This can't be done with coconut butter. If you are intolerant to all milk, I would use lard, tallow or palm oil for high heat cooking/roasting. I have been making ghee for about a year. I hate to waste the milk solids, which my hubby can have. Is there a way to use the milk solids, like a soft cheese or something? My kids eat them straight. :) But you can spread them on toast or add them to an Italian dish. I grew up on ghee and been making it since I started cooking on my own, 20+ years :)? A couple of years ago I started making it in a slow cooker and it became my favorite way, I haven't burnt any batches since then. Here is my recipe: http://www.beetsandbones.com/how-to-make-clarified-butter-and-ghee/. I love ghee more than anything, and during my current pregnancy I for some reason strongly crave it over butter. I make a moisturizer out of it (http://www.beetsandbones.com/washed-clarified-butter-moisturizing-cream/), and add it to my lotion bars and body butter. 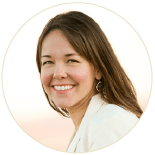 Love your site, Carrie! If the ghee looks brown, can I still use it?